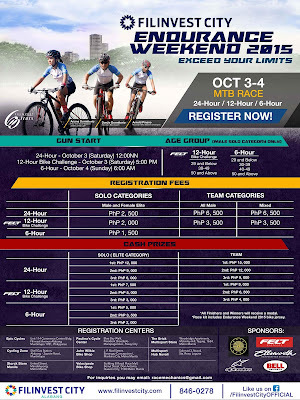 Filinvest City Endurance Weekend 2015: Exceed Your LimitsFollow the trail and unleash your competitive spirit once again in the Filinvest City Endurance Weekend 2015. Now on its third outing, this year’s Filinvest City Endurance Weekend is a two-day Mountain Bike (MTB) event like no other as it challenges the rider to make the most laps within a 6, 12, or -- for the extreme MTB riders —24 hour span. 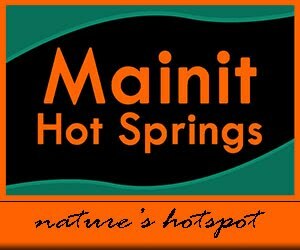 Here, the strongest, most skilful and the best strategist will be recognized as they endure the long hours on the trails. But because all these are set against this picturesque Garden City south of the Metro, one may not even notice the hours pass by. Expect this year’s competition to take you to a new adrenaline high as you exceed your limits. Yes, the MTB race is set to happen round-the-clock extending until the break of dawn; thus, making the biking route even tougher and more challenging. 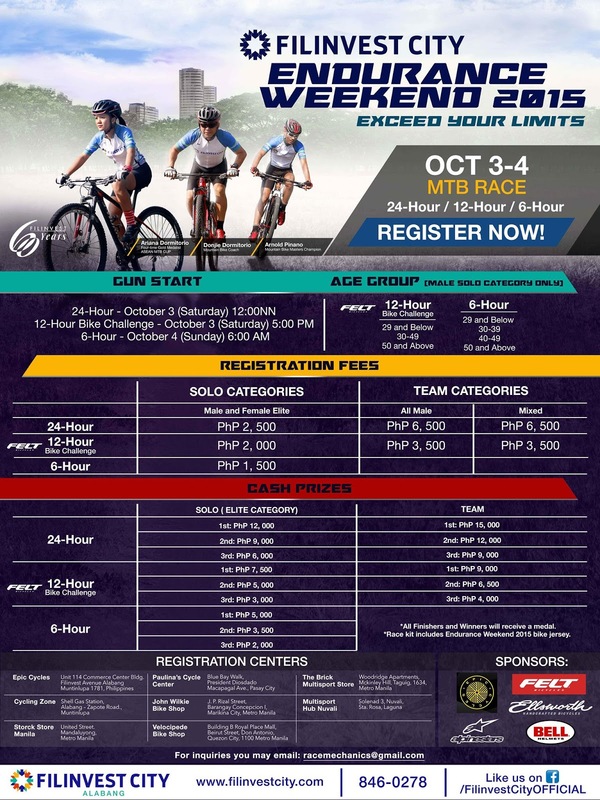 The Filinvest City Endurance Weekend is scheduled on October 3-4, 2015 at Filinvest City, Alabang, Muntinlupa City. Bikers and ultra-cycling enthusiasts (both male and female, solo or team) are all welcome to join. Medals, cash and more exciting prizes from their event partners Epic Cycles, Felt Bicycle Philippines, Ellsworth, Alpine Stars and Bell are up for grabs. As Filinvest City is known for entertainment and spectacle, you can also look forward to a more colorful and exhilarating on-the-side activities plus some raffle prizes to give away. Expect this year to be the ‪#‎BestEnduranceMTBRace‬ and for sure, it can even be more rocking than their previous Endurance events.Indeed, Filinvest City has become a growing community and a natural training ground for cyclists, runners and for all other sports enthusiasts. Whether you’re a pro or a newbie, Filinvest City caters to everyone who has a flair for scenic places and lush surroundings. Endurance Weekend is also a way of giving back to the community while nurturing the best sights of the South. 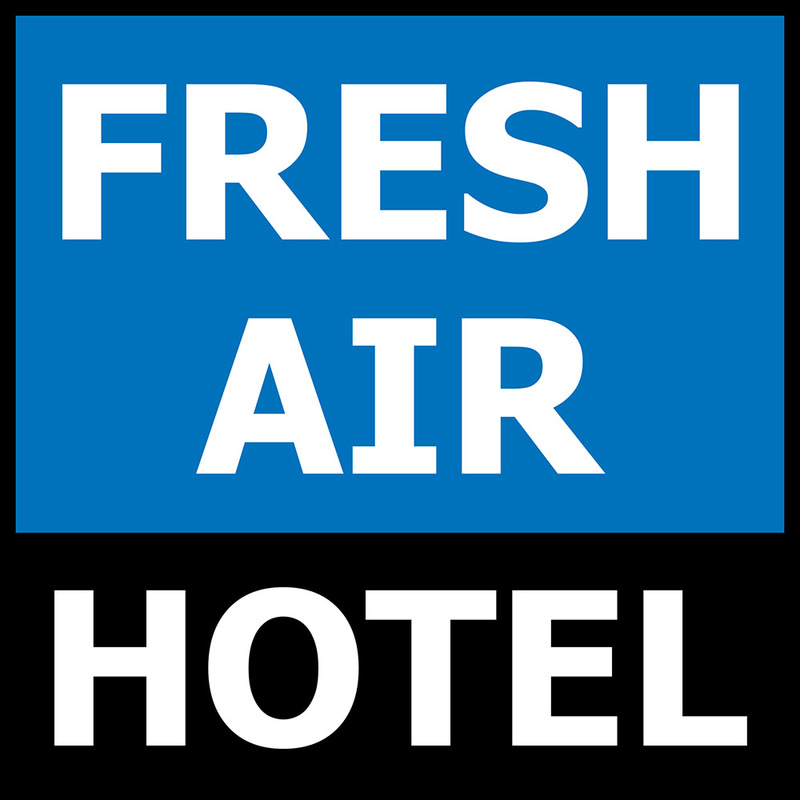 So are you ready to take on the challenge? Experience the unexplored areas of Filinvest City and let it take you away!For more details, call (02) 846-0278, visit www.facebook.com/FilinvestCityOFFICIALor email racemechanics@gmail.com.